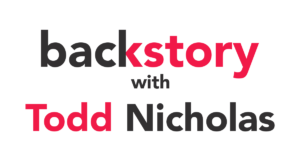 Sociologist and podcast co-host Todd Nicholas joins us to talk making stuff, putting it out there, and encouraging other folks to do the same. Kat Kuhl is a living spell cast by the Urwitch to summon beautiful stories into this world. She possesses the intellect of any three men of genius, a comprehensive knowledge of all things that never were, and eyes of a deeply hypnotic quality that strike fear into the hearts of the wicked. I read Sociologist as scientologist and was ready to nope it up before I began.